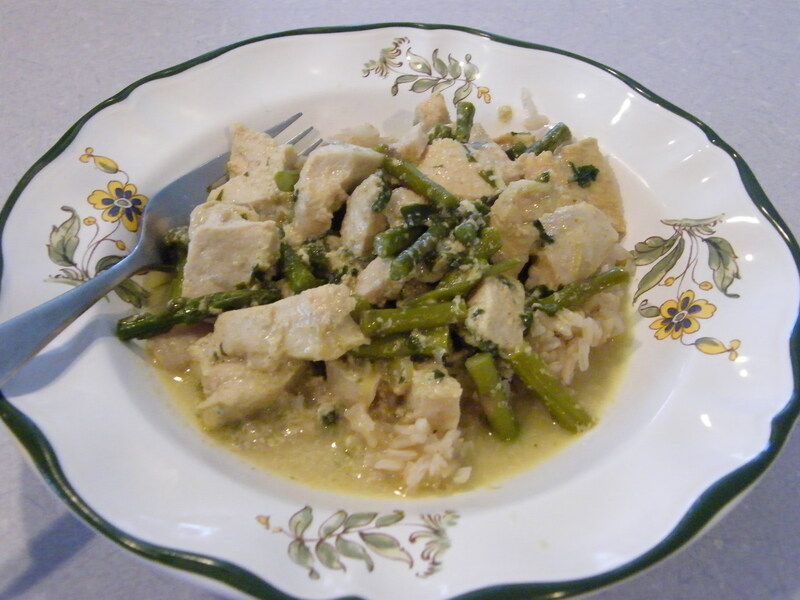 On medium heat and in a large saucepan, make sauce with all ingredients but chicken and asparagus. Add asparagus when sauce is warm and bubbling. Cut chicken and add it as well. Saute until chicken is cooked through (depends on your size of chicken), mine took 6 minutes. Serve over brown basmati rice.